JoJo Maman Bébé, Newport, UK based company, was founded in 1993 by Laura Tenison who recognised the gap in the market for stylish maternity fashion. Laura, who was living at the time in Brittany, Western France, was inspired by the Nautical Breton Style which still remains a prominent feature in the current collection. 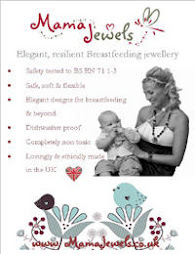 Laura, a mother of two, started JoJo with just a single sewing machine, and today, JoJo is regarded as the UK’s foremost niche market specialist in pregnancy, baby, children and nursery market. JoJo prides itself on the treatment of its staff and third party workers and has links to Africa charity Nema – which aims to reduce infant mortality in Mozambique. With the colder season just around the corner, we are highlighting our top picks from the JoJo Maman Bébé Autumn/Winter Collection. Maternity Jeans are essential to any maternity wardrobe. They are extremely versatile and can be worn throughout the year, making them a terrific investment. Whether you are going on a date with your partner or lunch with your girlfriends, they can be dressed up or down for any occasion. Finding your perfect pair of maternity jeans is easy with JoJo’s choice of styles. JoJo’s line of maternity jeans feature a jersey bandeau waistband to fit over or under your bump. 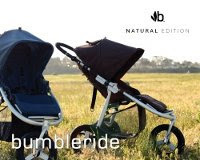 Fold down in the early weeks and unfold as your bump grows. The jeans are also perfect to wear in the post partum period when your body makes the transition back to its pre pregnancy shape. The Dark Wash Bootleg Maternity Jeans features a wide jersey waistband to roll under your bump for extra support or wear over for extra warmth or modesty. The dark wash, bootcut design and stretch denim result in a very flattering fit throughout your pregnancy, boosting your confidence and self esteem. This style, like all JoJo’s maternity jeans are cut to fit throughout your pregnancy, making them terrific value. The bootcut jeans are well designed and of a high quality. Pair with any of your favourite JoJo Maternity Tops and Shirts for a stylish, pulled together look. Our tester found the jeans to be very comfortable with the fit true to size. She also received many compliments while wearing them. The ability to customise the waist band depending upon which stage of pregnancy you are at was a much appreciated feature, allowing the tester to get as much or as little support as needed. The jeans stayed in place thanks to the well designed waist band. The tester noted that she felt more confident when wearing the waist band pulled over her bump in the event that her top started to ride up thereby exposing her belly. The bootleg jeans are available in regular and long lengths to suit every height. These are a terrific staple that you will turn to over and over again. 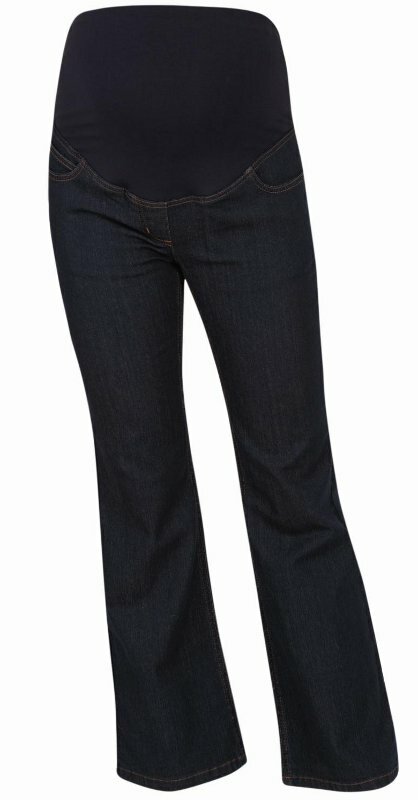 View the full range of Maternity Jeans here. Maternity Sizing and Waistband sizing can be found here. 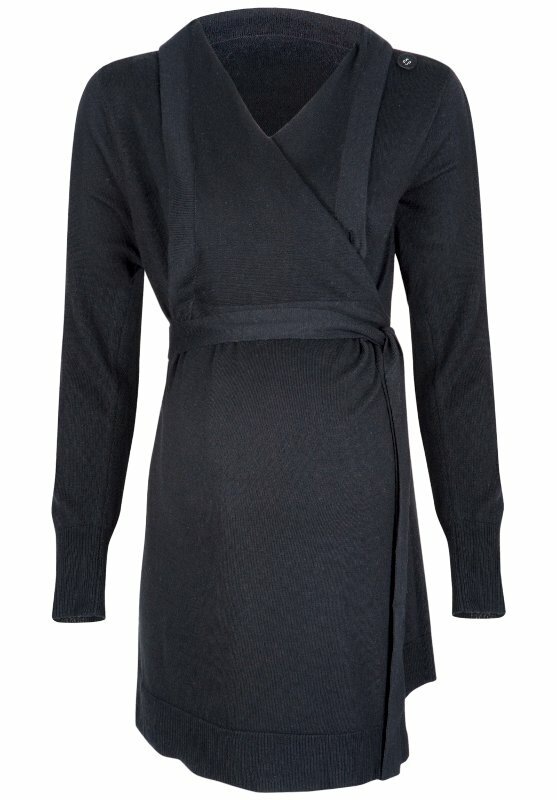 Wrap cardigans are a great choice and useful addition to the wardrobe whatever stage of pregnancy you are at. They can be worn open or tied with the belt for a comfortable, flattering fit. Adaptable maternity cardigan which can be worn open with waterfall collar, wrapped with the tie for a defined waist or buttoned up for a classic look. so it should last you through nursing and beyond. The versatile 4-Way Cardigan is brilliantly designed to be worn 4 different ways, offering your a variety of ways to wear your gorgeous cardigan depending on the weather and your mood. Have fun experimenting with different looks! Visit the website to view the various ways to wear this cardigan. We love the soft material and the way that the fabric drapes beautifully over your growing bump. Pair with jeans for a casual look or pants for a smarter look. You can wear it on its own or layer up for extra warmth. A wonderful addition to your wardrobe. A great cover up which can be worn right throughout pregnancy and long after the birth. View the full knitwear collection here. When the colder weather rolls around and your regular coats and jackets won’t close over your bump, it will be time for search for a maternity coat to keep you warm and snug in the colder season. JoJo has you covered with the lovely maternity peacoat. This lovely double breasted maternity peacoat from JoJo is a timeless design and will never go out of fashion. It is fully lined and very well made. The coat is cleverly cut for a streamlined silhouette whilst allowing all the room you need to grow. The smart wool coat is ideal for work and smart events and also works well for casual outings paired with your favourite. The Maternity Peacoat will keep you warm when the temperature drops while keeping you fabulously stylish at the same time. 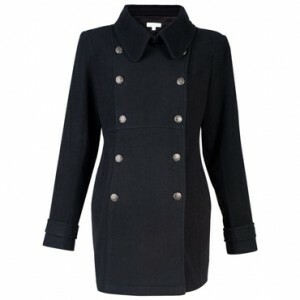 Our top pick for Maternity Coats for 2012. From casual to chic, JoJo has you covered with their full range of Coats and Jackets in various fabrics, styles and lengths. View the full coat and jacket collection here. 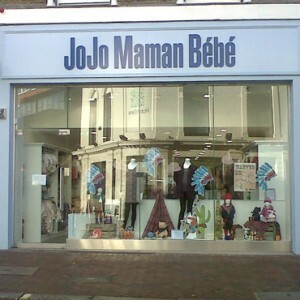 JoJo Maman Bébé offers a full line of maternity, baby and children’s clothes as well as practical products, nursery items, gifts and toys. Shop the JoJo online boutique or find a store in your area. Our testers have received their samples in a very timely manner and we can attest to the prompt and professional service from JoJo. Shop in the comfort of your home with complete confidence.